This document was last updated on 11/29/2012. Guardian Tactical will use its best efforts to protect your privacy as stated herein. This Privacy Statement sets forth our current privacy practices with regard to the information we collect when you or your computer interact with our website. By accessing mulderdental.com, you acknowledge and fully understand Guardian Tactical Privacy Statement and freely consent to the information collection and use practices described in this Privacy Statement. Guardian Tactical collects certain information from and about its users three ways: directly from our Web Server logs, the user, and with Cookies. From time to time we will provide links to other Web sites, not owned or controlled by Guardian Tactical. We do this because we think this information might be of interest to you. Although we do our best to ensure your privacy, we cannot be responsible for the privacy practices of other sites. A link to a non-Guardian Tactical Web site is informational only and does not constitute or imply endorsement as to privacy or accuracy by Guardian Tactical. Neither Guardian Tactical nor any of its subsidiaries or affiliate entities, agents, employees, licensees, or subcontractors shall be liable for any direct, indirect, special, incidental, consequential, punitive, or exemplary damages, including lost profits (even if we are advised of the possibility) arising in any way from the information contained in this Web site or any information transmitted via this web site. Guardian Tactical is not liable for any damages or losses that may be caused to any equipment and other software due to any viruses, defects or malfunctions in connection with access or use of this Web site. Guardian Tactical has the discretion to occasionally update this Privacy Statement. When we do, we will also revise the “updated” date at the top of this Privacy Statement. We encourage you to periodically review this Privacy Statement to stay informed about how we are helping to protect the personal information we collect. Your continued use of the service constitutes your agreement to this Privacy Statement and any updates. 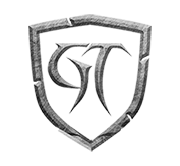 Guardian Tactical will use commercially reasonable efforts to promptly respond and resolve any problem or question.